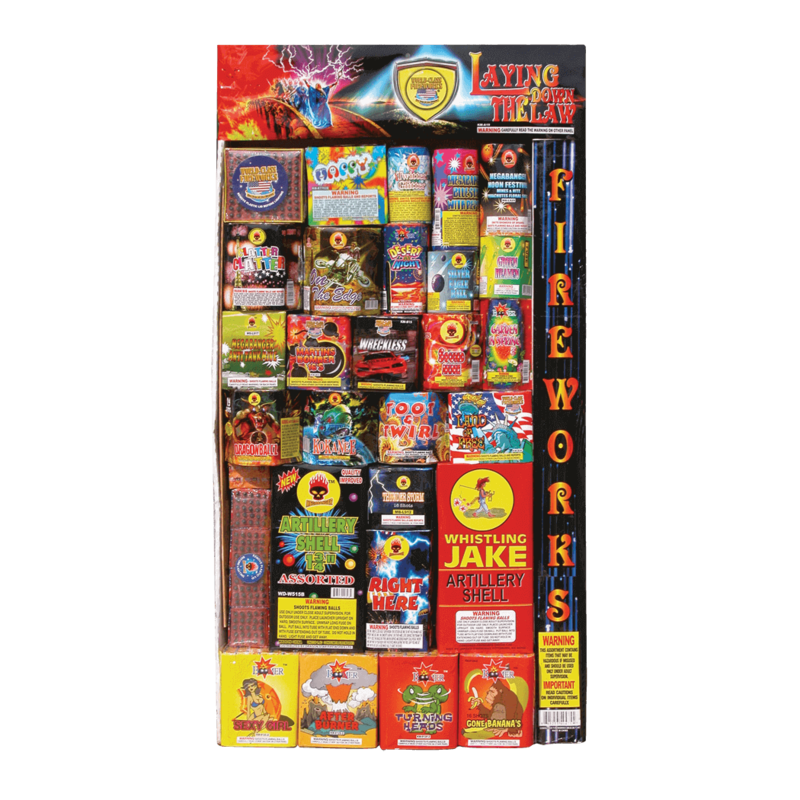 The Laying Down the Law Assortment has everything you need for your next celebration. This assortment features World Class & Megabanger products and includes: 25 multi-shot repeaters, 12 reloadable shells, and 5 saturn missile batteries! There are no small novelty items at all in this assortment. This one will keep you going for a LONG time. Most of the 200 Gram multi-shot repeater cakes in this assortment are medium large sized, providing big loud breaks and great effects.